We have been learning ‘how to make our own’ gingerbeer, paper, slow cooking oven, chapatis, sourdough bread and more..! We love sharing skills, and this is why we have been making a series of documents we call ‘DIY docs’ with text and explanations of how to ‘Do It Yourself’. Please let us know if these documents provide all the explanation you need, and what skills you would be interested to learn! 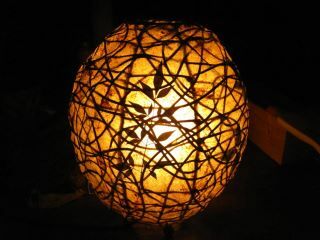 Kumari, a Venezuelan artist living in Brisbane, Australia, makes beautiful lamps out of paper, dried leaves and flowers, and recycled materials. The paper she makes herself, with agave fibers. Mykal has been making large containers of gingerbeer, fermented with ‘wild yeast’, sometimes 20 liters at a time, which are loved by adults and kids alike. In India we learned how to make chapatis from Babas or wandering holy men. Nico spend a day ‘studying’ making sourdough bread with Australian baker Les Bartlett of Crystal Waters community in Queensland. A great way to save energy and cook your food slow to preserve nutrients and enhance flavor is using a slow cooking oven.